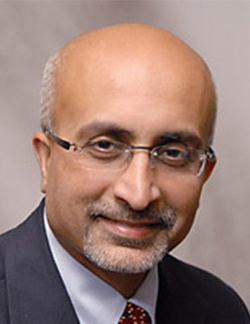 Badrinath Konety, MD, MBA, is a urological surgeon specializing in prostate, bladder and urologic cancers. He holds a practice at the University of Minnesota Institute for Prostate and Urologic Cancers. Konety has been involved in examining age specific therapy for bladder cancer and studying the impact of bladder cancer on quality of life and outcomes from bladder cancer treatment. 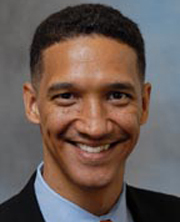 Konety is also one of the Principal Investigators of a grant from the Center for Healthy African American Men through Partnerships (CHAAMPS), a transdisciplinary collaboration dedicated to the unique health issues of the African American male community. He is the Masonic Cancer Center’s Associate Director of Clinical Affairs. Dr. Warlick is an assistant professor and urologic surgeon at the University of Minnesota Institute for Prostate and Urologic Cancers and Clinical Director of the urology clinic at Fairview Lakes Medical Center. Warlick specializes in urologic oncology, prostate cancer, expectant management for prostate cancer, kidney cancer and bladder cancer. He also specializes in robotic assisted laparoscopic surgeries, and is an advocate for active surveillance for low risk prostate cancer. Warlick also uses MRI for image guided prostate interventions such as MRI guided and MRI/ultrasound fusion guided prostate biopsies. A member of the Masonic Cancer Center, Warlick’s current research focuses on the use of MRI imaging in prostate cancer, the testing of the performance of new genomic tests in African-American men, and on programs to increase the use of shared decision making around PSA screening and prostate cancer treatment decision making. He is also the director of clinical trials for the Department of Urology.